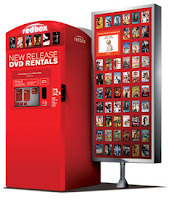 Being Frugal and Making It Work: Free Redbox Code - Today 3/8 Only! Today only, March 8th, you can use the free redbox code below to get a free movie rental at your local Redbox kiosk. Enter code: THANKS2U at a Redbox Kiosk near you and enjoy a free movie night. This is a one day rental only! Thank you to Frugality is Free for sharing this free redbox code! My son is having a friend over later and this might be something they will want.